Freixo is a coastal town in the greater municipality of Outes and it is located close to the estuarial entrance of the Noia and Muros ria. It is roughly equi-distant from both Noia and Muros and will soon be little over 35 minutes from Santiago de Compostela. Until recently, Freixo was an easily miss able and fairly unappealing town with little to attract the tourist, but things started to change in 2007 when a new marina was constructed. 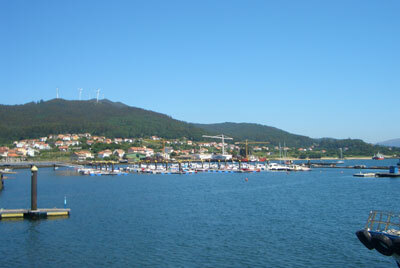 A year later (2008), and many of the marina’s births have been taken and the entire sea front area is seeing renovation and urban renewal as Freixo is transformed into a leisure port intended to rival nearby Porto Sin. Many of the old and run down sea facing buildings are being demolished and new low rise apartment blocks are taking their place. A new marina clubhouse is also on the way and so is a hotel. 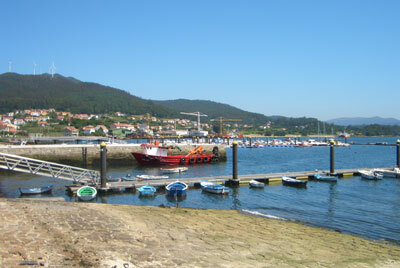 Freixo is benefiting from considerable investment and government support. Freixo will never rival the likes of Noia or Muros for year round charm and Galician realism, but it will no doubt become a popular (and probably expensive) summer base with a special appeal to yachters. Freixo will also benefit from a new speedy by-pass that will connect it to the far side of the bay making access to Santiago de Compostela quick and easy. This will also place Freixo in a location that will make it an ideal base from which to explore the coastal and inland districts of la Coruna province.